Trump's proposed tax on Mexican imports has Minnesota businesses concerned with a possible trade war, and farmers especially have a lot at stake. 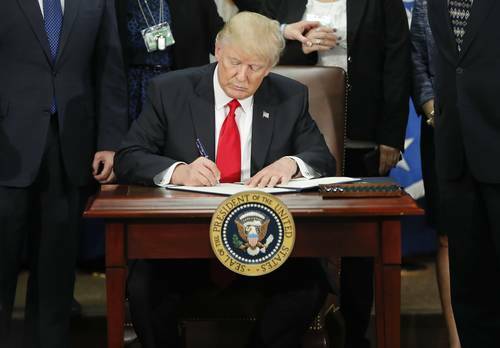 President Donald Trump's executive order on immigration could affect the resettlement of at least 39 refugees that are scheduled to arrive in Minnesota in the next month. Some 1,000 people gathered Sunday at Minneapolis-St. Paul International Airport to denounce the president's order temporarily barring citizens from Somalia and six other largely Muslim countries, as well as refugees, from the U.S.
White House officials are calling the directive a "one in, two out" plan. It requires government agencies requesting a new regulation to identify two regulations they will cut from their own departments. Many Somali-Americans in the Twin Cities processing what the president's actions might mean for them and their families. 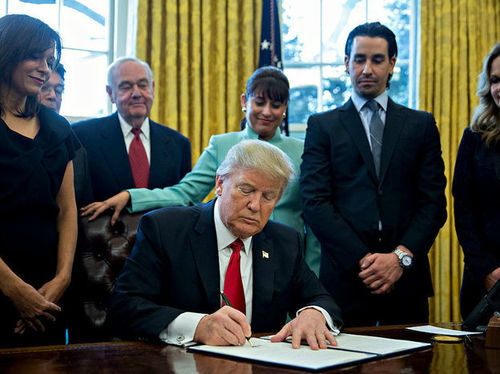 President Donald Trump on Monday officially ended U.S. participation in the Trans-Pacific Partnership. Many Minnesota businesses saw the proposed deal as a way to boost exports to Asian markets. Other groups, though, applauded Trump's move. 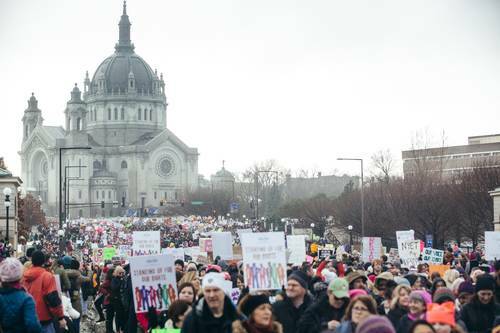 Around the state and the region, in large cities and tiny towns, people gathered Saturday to march in support of women's rights and to protest Pres. Donald Trump's policies. Tell MPR: How have you been affected by President Trump's immigration orders? 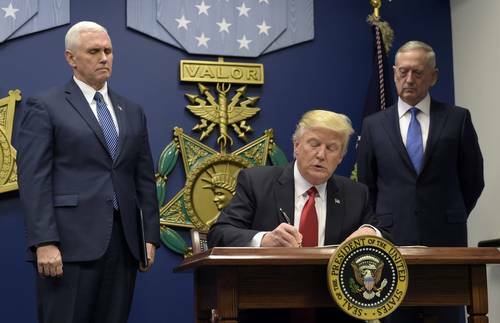 President Donald Trump has barred all refugees from entering the United States for four months, and indefinitely halted any from Syria, saying the ban is needed to keep out "radical Islamic terrorists." How has this affected you? Federal appeals court judges Neil Gorsuch, Thomas Hardiman and William Pryor are seen as the leading candidates to be President Donald Trump's nominee for the Supreme Court. 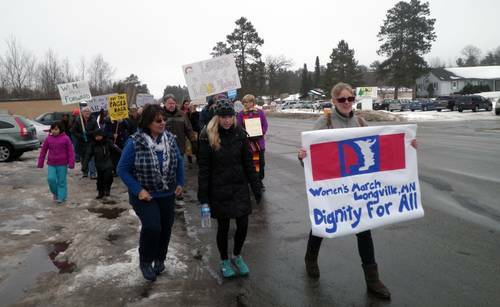 Michelle Barton wishes she could be part of a big women's march on Saturday, but she lives in the tiny town of Longville, Minn.
"I thought OK, I'll just see what happens if I create my own march," she said. "It was kind of a lark." 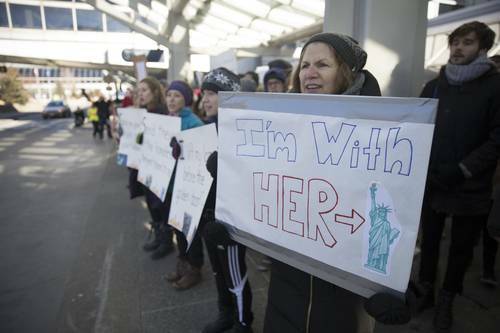 Since the president's order Friday temporarily restricting travel for immigrants and refugees from seven Muslim-majority countries, members of Minnesota's delegation to Washington, D.C., have issued responses, many of which cross party lines. 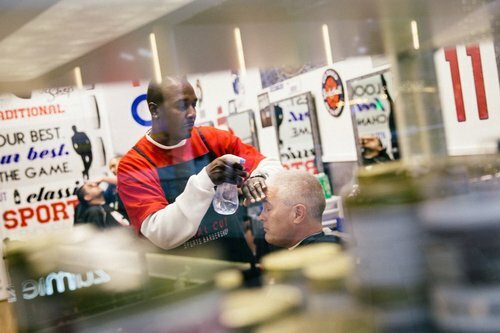 Minnesota businesses are trying to figure out what President Donald Trump's immigration order means for them. 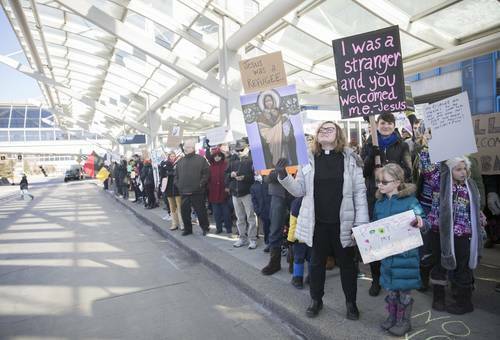 Faith leaders said the ban, which temporarily bars travelers from seven Muslim-majority countries and halts refugee admissions for 120 days, violates the core principles of their religions. While critics continue to blast the president for his executive order placing restrictions on immigration, many of his supporters in greater Minnesota generally agree with the president's move. Tempers flared in the usually decorous Senate as the Judiciary Committee weighed a vote on attorney general nominee Jeff Sessions. Democratic Sen. Al Franken of Minnesota and Republican Sen. John Cornyn of Texas traded charges on Wednesday over previous committee testimony. 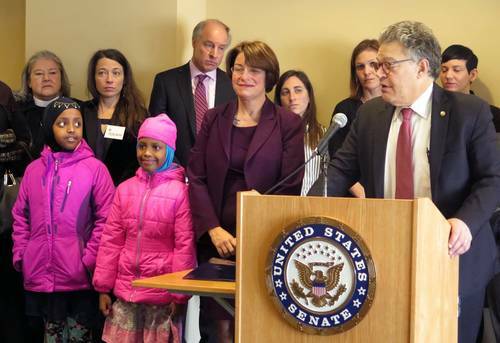 Franken said he wanted to set the record straight and complained that his integrity had been abused. Cornyn interrupted Franken as Republicans tried to move ahead and vote on the nominee. 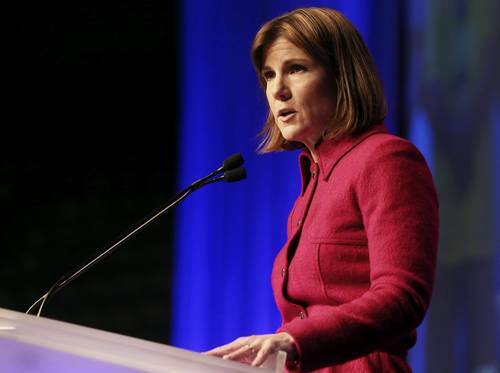 Lori Swanson, the state attorney general, has joined a lawsuit alleging that President Trump's halt on immigration from seven countries is unconstitutional. 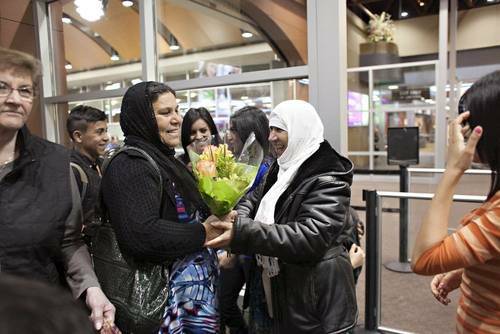 Refugees arrived in Minnesota from 25 different nations in 2016 -- including 5 of the 7 countries whose immigration to the U.S. was frozen by Trump's recent executive order. 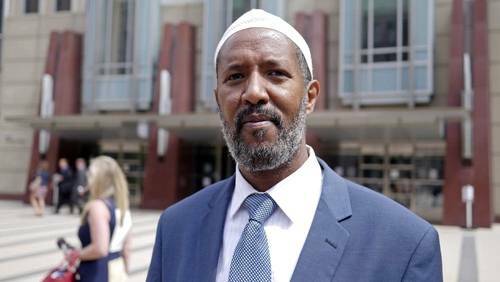 A Minneapolis father trying to bring his wife home from Somalia and a Minnesota congressman are among those trying to figure out the impact of the president's order limiting immigration and travel from certain countries. Legislative auditor report: @MSFA_NewStadium use of suites "violated a core ethical principle" w/158 tickets to friends, family @ 12 events. About 15 minutes in, the Justice Department's lawyer is getting heated in his argument. 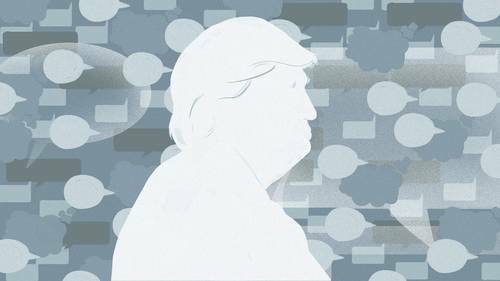 To Trump's supporters, the president's dark warnings show that he has a clear-eyed view of the terror threat facing the U.S. — a threat they believe Barack Obama downplayed. Trump's critics fear he is hyping one threat at the expense of others. 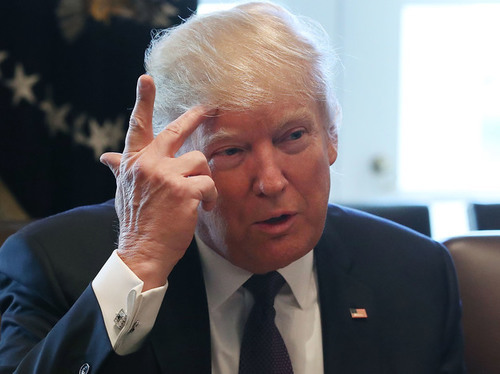 Islamic extremism is "an enemy that celebrates death and totally worships destruction," Trump said Monday while visiting the headquarters of the military's Central Command. A court spokesman says it was unlikely that the court would issue a ruling today, the AP reports. In closing remarks, Justice Dept. lawyer August Flentje asks court to reinstate part of the ban, even if it has concerns. Noah Purcell, representing Washington and Minnesota attorneys general, is up now. 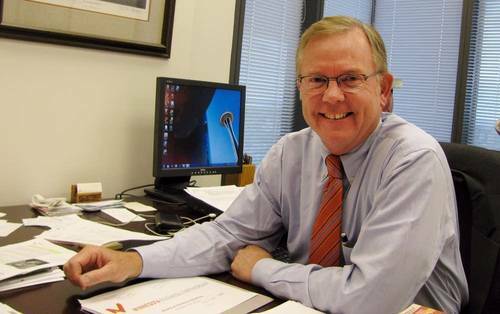 Purcell for Washington GA: No evidence proves Justice Department's claims of "irreparable harm." Purcell claims that Establishment Clause violation in executive order harms everyone, in a sense. He's saying the order is unconstitutionally targeting Muslims. Attorneys defending President Donald Trump's travel ban say a number of Somalis in the U.S. have been connected to a terror group after federal judges asked for evidence that residents of seven Muslim-majority countries present a risk to the U.S.
Attorney August Flentje told judges Tuesday on the 9th U.S. Circuit Court of Appeals that the case was moving fast and the government had not yet included evidence to support the president's ban. Judge Michelle Friedland asked if the government had connected any immigrants from those seven countries to terrorism. Flentje cited the Somalis in the U.S. tied to the al-Shabab terrorist group. Flentje says the president has the right to assess the risk to national security and based the countries listed on determinations by Congress and his predecessor in the last two years. A lawyer challenging President Donald Trump's travel ban says that halting the executive order has not harmed the U.S. government. Instead, Washington state Solicitor General Noah Purcell told a 9th U.S. Circuit Court of Appeals panel on Tuesday that the order had harmed state residents. Purcell says the ban has split up families, held up students trying to travel here to study and has prevented people from visiting family abroad. Purcell says the ban affects thousands of Washington state residents. 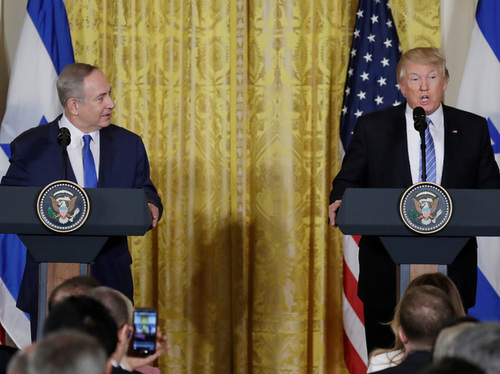 Recent remarks by senior White House officials seemed to signal a possible shift in the long-held U.S. view that a two-state solution is integral to peace negotiations.